Javier and his brother David were always destined for a big confrontation. 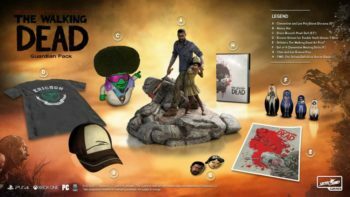 After losing track of David, Javier and his sister-in-law Kate develop feelings for each other while looking out for David and Kate’s children in the post-apocalypse. When David resurfaces though, they hide this fact, both to give Kate and David’s family a chance to be together again and to prevent David from acting out in anger. 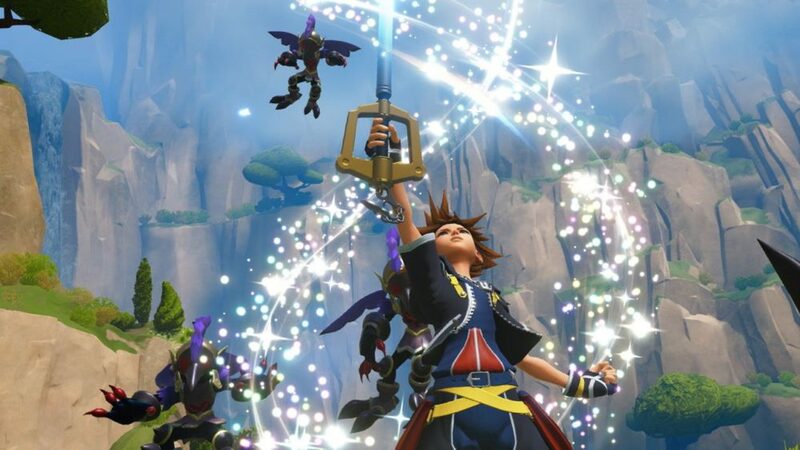 It nearly gets him killed, but in the process, he shows both David and the rest of the group that he won’t let this grim new world change who he is or what’s important to him. Going into The Walking Dead, players knew that the game would be dark. Few, however, were prepared for the gut wrenching magnitude of Duck’s death in the first season. Suffering a bite in an escape from their breached settlement, Duck’s condition quickly deteriorates as the group makes their way toward safety. Before long, it becomes clear he won’t make it, forcing the group to stop and put him out of his misery. Katjaa offers to do it, taking him into the woods on the side of the road, but after a gunshot rings out Lee and Kenny find her dead by her own hands. Grief stricken, Kenny begs Lee to kill Duck for him, unable to be responsible for the death of his son so soon after losing his wife. As Duck wheezes and fades, just barely on the verge of turning, Lee pulls the trigger, and players are finally aware of just how dire the game’s world is. Throughout the second season, Carver establishes himself as an unmistakably ruthless leader. 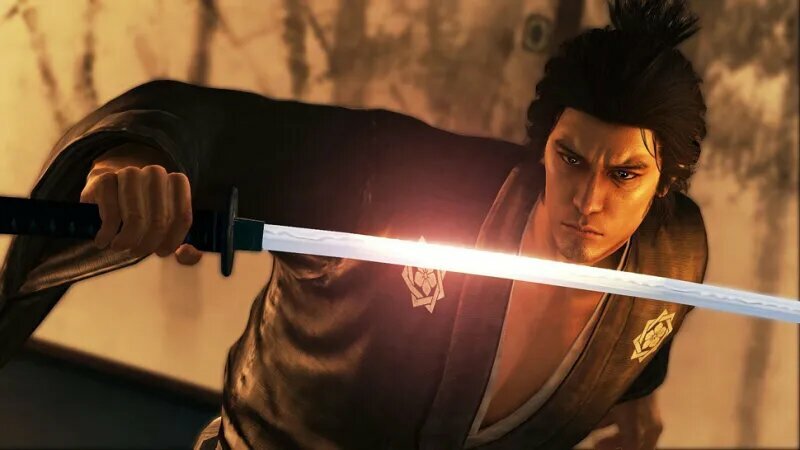 Killing other members of his group at the slightest sign of disloyalty, he has no qualms about throwing someone off a building or bludgeoning them half to death with a walkie talkie. 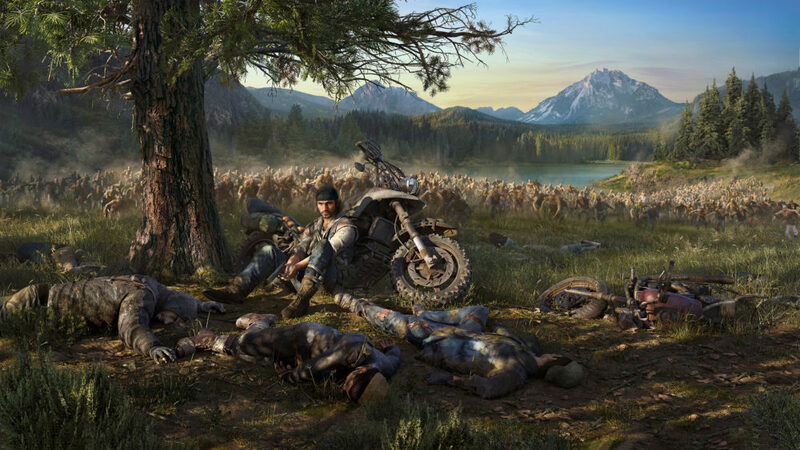 This extends to Clementine and her group after they arrive at his compound, with Kenny losing an eye in a brutal beating after Carver catches them trying to escape. He’s a clear and present danger, and as a result the group is left with no other option than to dispose of him before they make their escape. 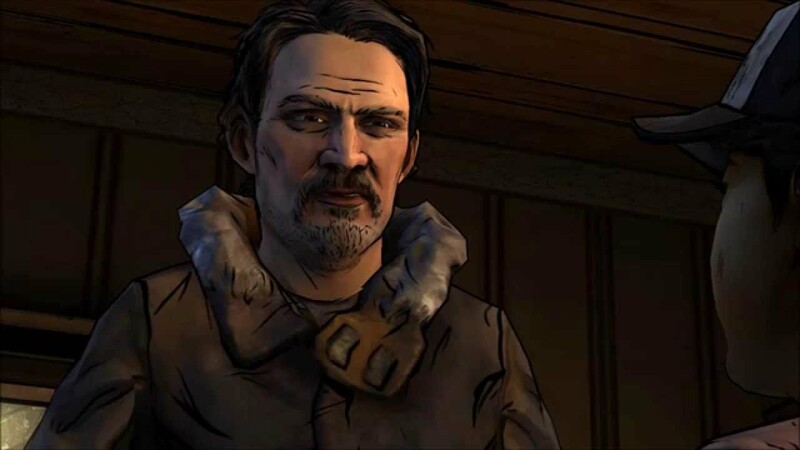 It’s sound enough on paper, but when it becomes clear Kenny will be getting even with him ten fold for his lost eye, the question is raised about whether or not Clementine should watch his brutal death. Doing so would provide a twisted sense of closure, but walking away would help her retain some of the humanity Lee would have wanted her to have. Either way, Carver meets his end in a gruesome way and won’t be causing the group any more problems. 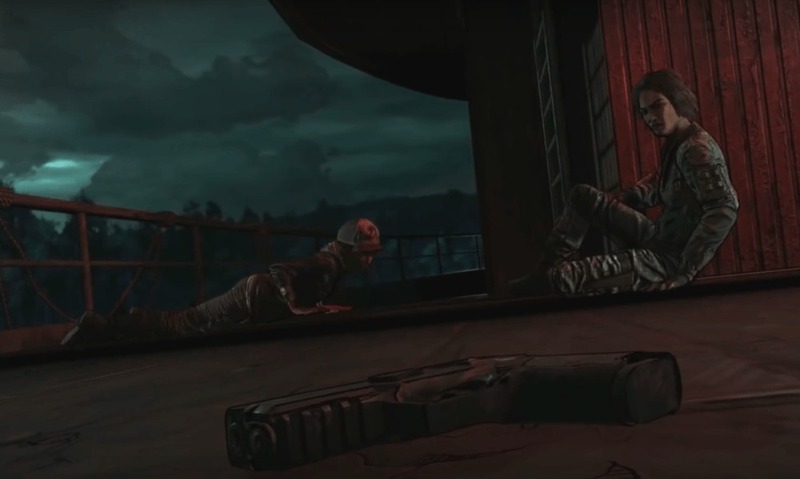 It doesn’t take long for players to realize that The Walking Dead: The Final Season is all about shaping A.J. with Clem’s choices. It doesn’t sink in just how important this is, however, until the first episode’s finale. 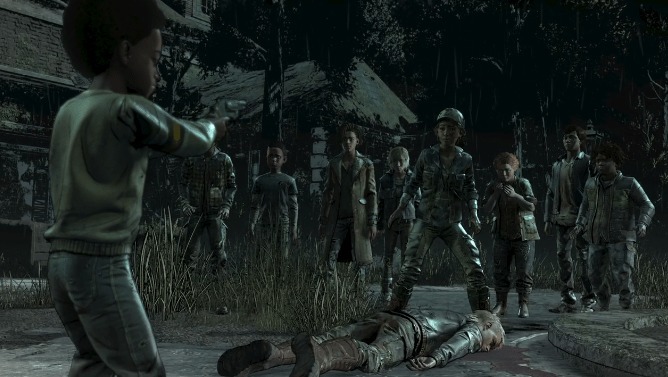 After witnessing the Ericson children’s leader Marlon murder another survivor to hide the fact that he’s been negotiating with raiders, Clem reveals his crime to the rest of the group. 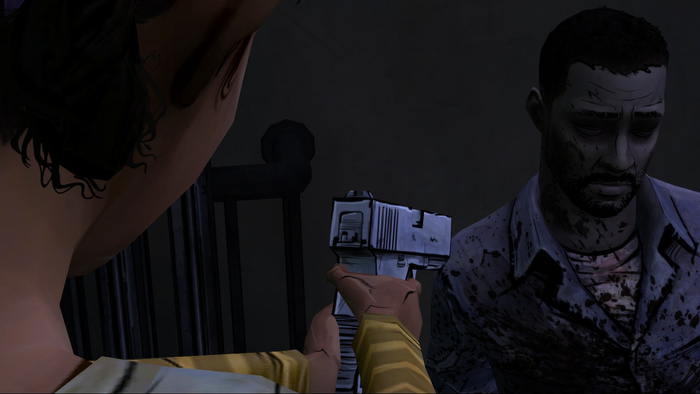 Cracking under the pressure of the situation, Marlon threatens Clem repeatedly and aims a gun at her, only kept from firing when one of the group steps in between him and Clem. Though they’re hesitant to believe her at first, more come to her aid and try to get Marlon to back down. Seeing he has no chance of winning, Marlon drops his gun and surrenders. He offers to leave and never come back, but before Clem can respond, A.J. sends a bullet through his head with the gun he dropped. As the rest of the group stares in horror, A.J. looks at them confused as to what he did wrong. Letting go of the past can be hard. Letting go of people you used to know can be even harder. This is something Clementine learns all too well at the end of the second season. Following a disastrous escape from Carver’s followers, her once sizable new group has dwindled down to herself, Kenny, Jane, and a newborn baby named Alvin. Tensions are high, and when Jane tells Kenny the baby didn’t make it, he snaps, blames her for the loss and tries to kill her. 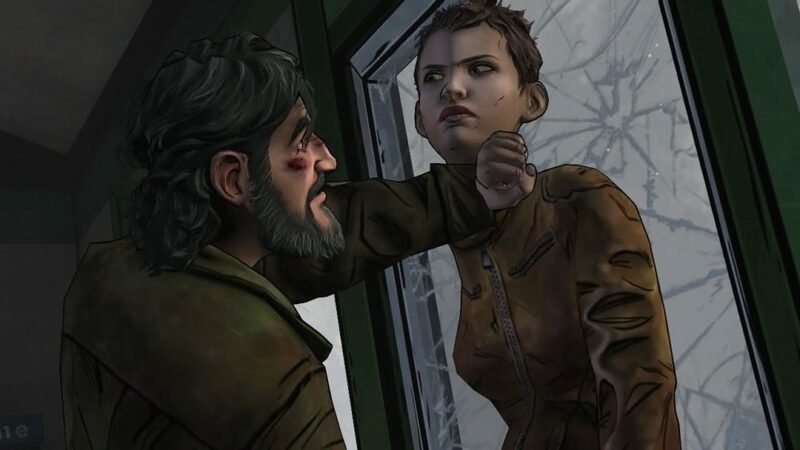 The two fight and struggle, leaving Clem to watch in horror as she’s unable to do anything. It all comes to a head, however, when she retrieves a gun thrown in her direction just as Kenny is about to kill Jane. 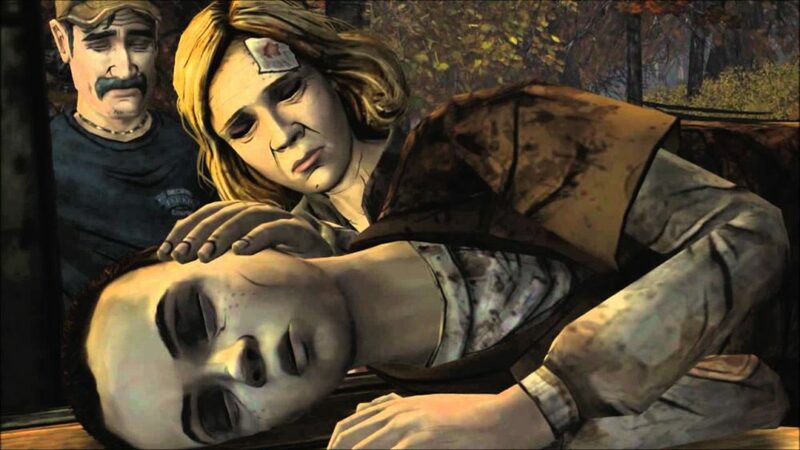 Her only hope of surviving is if Clem shoots Kenny, killing the only other survivor from her original group. It’s a heartbreaking decision, but over the course of the season Kenny has shown himself to be increasingly unhinged. He’s killed others ruthlessly, is wrought with anger at the loss of so many he loves, and is a shadow of his former self. 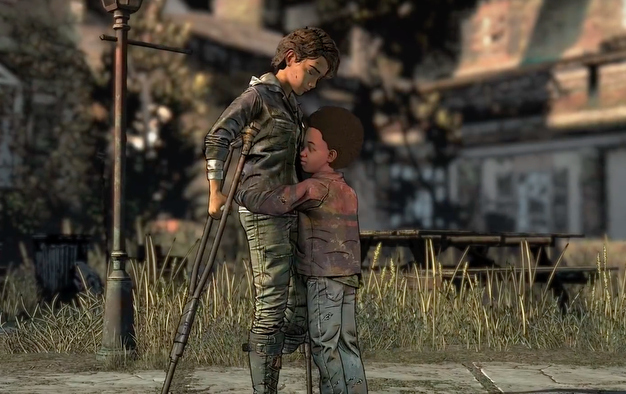 To this end, Clem pulls the trigger, heartbroken. And yet, as Kenny lays dying, he sees what he has become and thanks Clem for what she did. Lily’s return is one that sets off a catastrophic domino effect for Clementine and her newfound allies in The Final Season. Not only is she responsible for kidnapping their former friends, but after taking them to her base of operations she tortures and even maims some of them irreparably. To top it all off, she takes A.J. from Clem, threatening to turn him into a brutal killer of a survivor just like the rest of her group while she’s stuck in their prison. Needless to say, Clem has plenty of reasons to retaliate when the opportunity arises. After a bloody struggle, she’s left at the end of a gun that A.J. has managed to grab. Almost anyone would understand if Clem tells A.J. to shoot. However, doing so could send A.J. further down the path of a killer that he may never return from. Either way, someone will end up dead, and A.J. will have learned a valuable lesson about himself and Clementine. After surviving countless Walker encounters throughout the first season, Lee’s luck runs out when he’s bitten on the arm by a Walker at the end of Episode 4. To make matters worse, Clementine has been kidnapped by a mysterious man. He may be her only hope of survival, and with the rest of the group torn on whether to help him or escape, it’s all the more pressing he can see things through himself. To that end, he’s faced with a choice: either leave his bitten limb as it is and hope that the infection doesn’t kill him before he saves Clem, or have the group help him cut it off and hope the blood loss doesn’t kill him. It’s a gut wrenching decision with no clear right answer, but faced with turning into a Walker and leaving Clem in danger, Lee makes the call to amputate. What followed was a sequence that could only be described by the decision marker that pops up from it: This is gonna hurt. 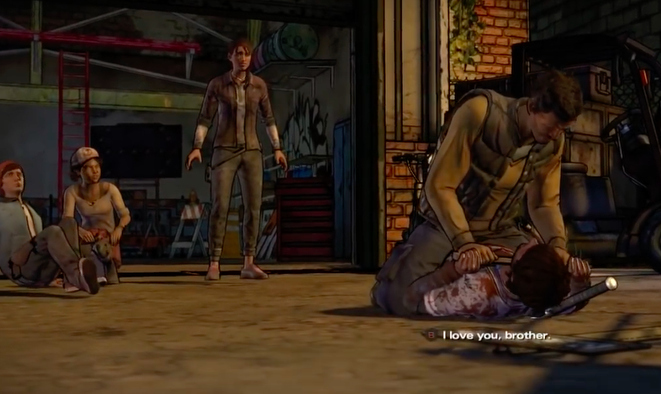 Lee’s influence on Clementine can always be felt by the player and through her actions in the game. His memory is the moral compass she always turns to, and it’s in reflecting his choices that she makes her way forward in the world. That’s why it’s all the more striking when, before the climax of The Final Season’s third episode, she gets to speak with Lee in a dream about everything she has done since his death, looking like she did when they first met. Sitting on the train where they shared their last peaceful moment together, he remarks on how much she meant to him and his belief in her ability to make the right choices. He lifts her up when she needs it most, and helps her believe she can save her newfound friends in their most dire moment. It’s tinged with sadness, as she realizes it isn’t real, and both comment on how it’s happened before. Clem even tells him how much she misses him, to which Lee sympathizes. And yet, as they say their goodbyes and Clem returns to her adult appearance after a goodbye hug, it provides a sense of closure and the determination to do what needs to be done. 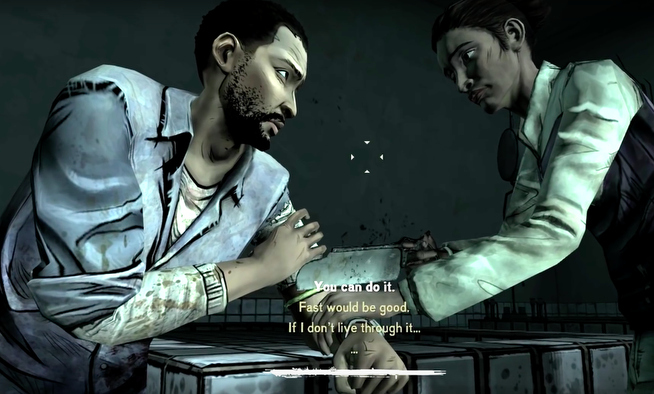 As players made their way through the first season’s final episode, they had to face the facts that Lee wouldn’t make it. 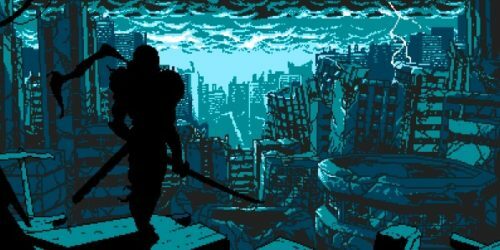 Whether they chose to cut off his bitten arm or succumb to the Walker infection, Lee’s life waned more and more the further they traveled. His complexion turned a ghostly pale, and his strength that saw him through so many situations started to fail him. It all comes to a head after saving Clementine. No longer strong enough to keep walking, he collapses, leaving Clem to escape on her own. She proves herself capable enough though, killing a Walker and finding a way to escape. Aware of his own end, he gives Clementine one last pep talk. He tells her she’ll be fine on her own, and gives her a few final pieces of advice on how to survive. Then, as one final lesson for her to carry with her, he asks her to either shoot him or chain him up so that he can’t hurt anyone. Either way, Clem walks away, knowing she’ll never see him again. And she’ll never be the same again. A happy ending isn’t what players were expecting from The Walking Dead. 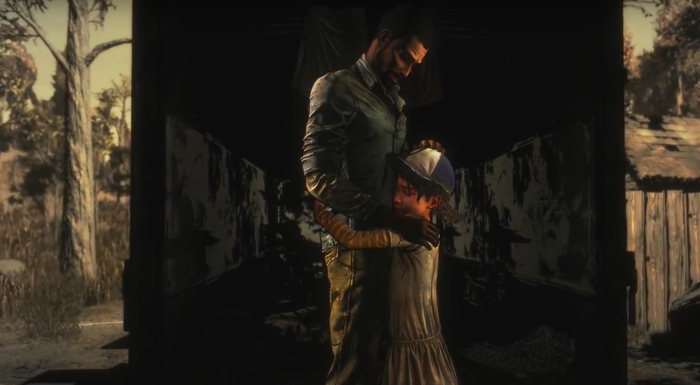 Sure, it’s what they’d desperately hoped for, but across its many episodes they’d experienced heartbreak after heartbreak, always seeing the hopes of Clementine and her friends tested. The final episode didn’t appear to be a break from this trend either. Bitten on the leg during their escape from Lily’s ship, Clementine is left too weak to keep running, leaving A.J. to kill her before she becomes a Walker. 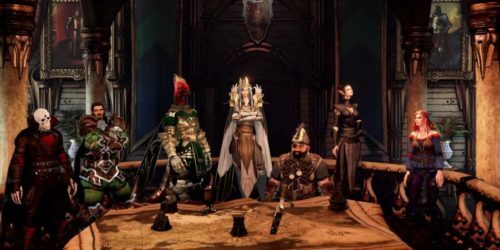 Though it doesn’t show her die, players are left to assume he kills her. It’s heartbreaking after spending so much time with her across the series, and as they take up the role of A.J., it starts to sink in that she’s really gone. It’s heartwarming. It’s overwhelming. It’s a happy ending players could only hope for, except this time it was real. It was the best way to leave off the series, and a fitting end to an unforgettable series.